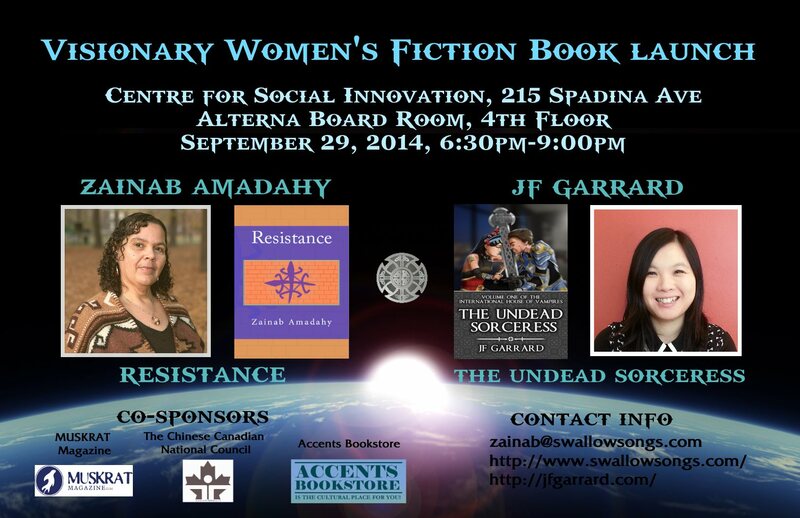 Book Launch Sept 29th with JF & Zainab! On Sept 29th, Mon night, from 6:30-9:00pm I will be at the Centre for Social Innovation for a “Visionary Women’s Fiction Book Launch”! Zainab Amadahy and I will be presenting our multicultural sci-fi and fantasy books. There will be food provided by Popup Mojito Fusion. As well, staff from Muskrat Magazine, Chinese Canadian National Council and Accents Bookstore will be there to network. Next Next post: Working Is A Break From Baby!